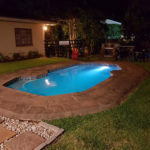 Asante Sana Guesthouse in Amanzimtoti offers Bed and Breakfast facilities with an outdoor swimming pool, BBQ facilities, free wifi and garden in a quiet tranquil setting yet ideally located in close proximity to the Amanzimtoti main beach and other social amenities with free safe on-site parking. 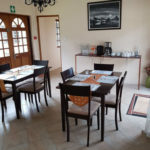 Amanzimtoti white sandy beaches only 5 minutes drive and less than a kilometer from the 5th largest shopping centers in Africa – Arbour Crossing & Galleria where ample shops, Cinemas, Ice Rink where numerous restaurants can be found. The beach features lifeguards all year round, ample parking, and a variety of nearby restaurants and shops. Holiday beach activities are offered to kids during the school holidays. 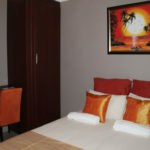 Also ideally situated for contractors and business people with a lot of industrial development in the area and Southgate Industrial Park and Southgate Business Park located just a kilometer from the Guesthouse. Visit our facebook page and website for more information. 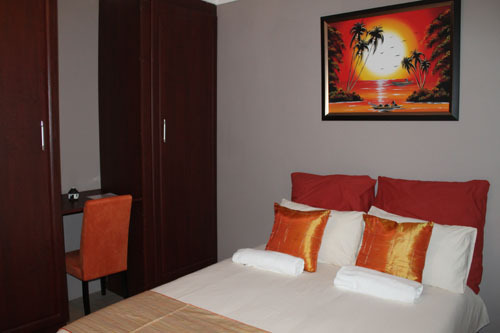 Amanzimoti is a suburb situated on the South Coast, 25 kilometers from the Durban Central Business District and only 52 kilometers from King Shaka International Airport. Just a kilometer from Southgate Business Park and Southgate Industrial Park. Amanzimoti Beach with its restaurants, shops and bars. Splash Waterworld. Amanzimtoti Bird Sanctuary. Beach horse riding. Golf Club. The Ilanda Wilds Nature Reserve. Pipeline Coastal Park is one of four nature reserves in Amanzimtoti. Ice Rink at Galleria. Ten pin bowling. Movie theatre. Glow Mini Golf. Dive Charters. Deep sea fishing. Shark cage. Crocworld. Etc.